With spring in town it’s time to catch the eye for the discerning gent. Whilst style and fashion will be main port of call, catching attention elsewhere is advantageous too. Given the Drinks Cabinet is a focal point due to the collection massed over the years, it makes sense to spruce up here too. What better way than for Elysium Magazine to introduce to the drinks cabinet of the discerning gent Absolut Facet. Followers of Absolut Vodka will be well aware of the maker’s penchant for crafting a unique bottles over the years. The stark blue bottle of the Facet is a showstopper that is asymmetrical in design. The round edges have been cut into like a gemstone, hence creating a number of faces that catch the light – and attention – in multiple ways. 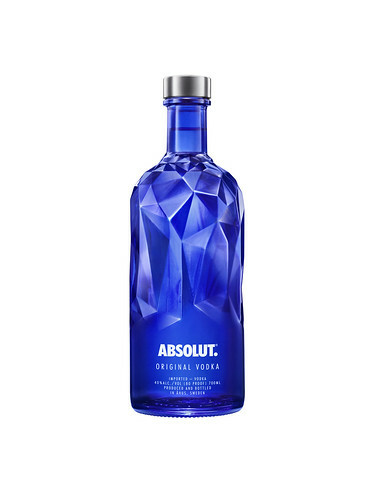 As for the vodka itself, it’s the same clean crisp vodka the discerning drinker has come to expect from Absolut. When a tipple has kept a benchmark for flavour for as many years as Absolut have, playing with the bottle itself is another way to have some fun. Followers of the Drinks Cabinet may already have a couple of designs in their collection already – this is likely to add to the group.